Working and living in England for many years, the team of Prime UK Property has learned all the nuances and challenges that may be faced by Russian-speaking children in the UK schools. As a result, such an important task as selection of a school for your child is better to be trusted to professionals with years of experience, who are the specialists of our company. High-quality education is the key to successful future! Specialists of Prime UK Property will answer your questions and visit the schools, that you are most interested in, with you. We will help you choose a school where your child will not only get excellent education, but also feel comfortable and confident. We can also help to find a Russian-speaking guardian and solve any issues related to study of your child in a UK private school. While the Russian education system is experiencing hard times, studying abroad is no longer an incredible thing accessible only to the elite. And we are talking not only about getting higher education abroad, but also an excellent base for following admission to a foreign university – studying in a private school in one of the most developed countries of the world. 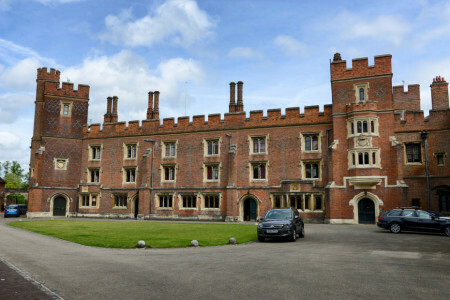 From childhood, even the classic literature told us that UK private boarding schools are the best schools in the world. And in the 21st century, nothing changed – secondary education in the UK is highly valued all over the world. Graduates of the UK private schools become prominent politicians and heads of corporations, famous scientist and brilliant top managers. It’s not about education, but natural talents? Maybe, but the statistics shows that there are talented students all over the world, but it is the list of graduates of the UK private schools, where you can find a lot of names from covers of business magazines. Prime UK Property. Our children are studying in the UK private schools. Friends from all over the world. Children from different developed countries study in the UK private schools – it develops mind, tolerance and open borders of all countries and continents. What school will your child study at? Today, there are more than 250 private schools in the UK, apart from the classical “daytime” private schools. They are different in sports equipment and teaching staff, admission rules and specializations, focus on engineering sciences or humanities. Specialists of Prime UK Property have carefully studied all nuances and differences between UK private schools and know everything about enrolling and studying in the best of them. Simply tell us about your child – his character, hobbies, dispositions, as well as your wishes regarding his future, and we will help you find the right private school in the UK, which will help you raise a strong and educated person and all doors to bright future will be open in front of him! Prime UK Property. Your guide in the world of high-quality education.